Other photos: Photo 1, Photo 2, Photo 3, Photo 4, Photo 5, Photo 6, Photo 7, Photo 8, Photo 9, Photo 10, Photo 11, Photo 12, Photo 13, Photo 14, Photo 15, Photo 16, Photo 17, Photo 18, Photo 19, Photo 20, Photo 21, Photo 22, Photo 23, Photo 24, Photo 25, Photo 26, Photo 27, Photo 28, Photo 29, Photo 30. JOPAJU is a single owner 112’ Westport which offers a standard layout with full-beam master and (2) guest staterooms with en-suite heads on the lower deck plus an additional VIP stateroom forward. The condition of the interior is like new featuring the raised Crotch Mahogany wood finish. SYS Yacht Sales is pleased to assist you in the purchase of this vessel. 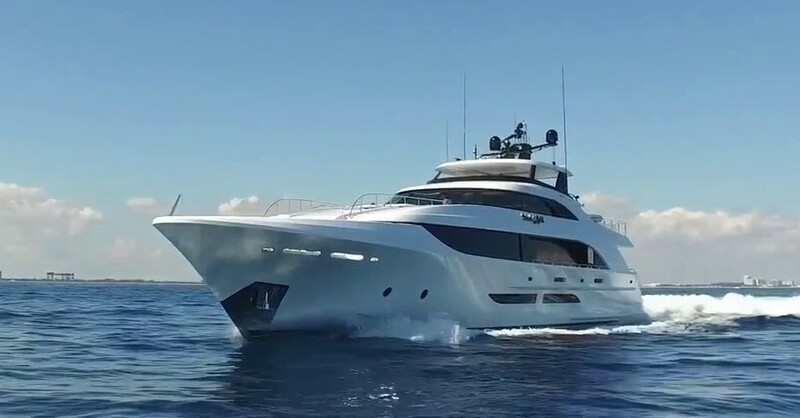 This boat is centrally listed by AvYachts. Over the last fifty years, the Westport Yachts has become synonymous with quality, reliability and value. Since 1964 Westport has taken a long-term view of the future, and invested heavily in people, design, naval architecture, infrastructure, engineering and proven technologies to secure our position at the forefront of the industry. They were among the first to recognize the attributes of all-composite construction, even pioneering new techniques and materials - such as infusion, resin impregnation and advanced coring materials – to create vessels that are both light in weight and superior in strength, comparing favorably to steel and aluminum but without vulnerability to corrosion. Composite yachts require less maintenance, so their owners spend more time cruising, and less time in dry dock. Computer-driven milling processes ensure a flawless finish on every part, and they allow engineers to integrate more features into each mold to reduce the number of mechanically-fastened sub-assemblies for superior structural integrity. Proven coring materials and other state-of-the-art coring materials impart exceptional thermal and acoustic insulation properties, so Westport yachts are quieter, more comfortable and free of condensation problems. Alexseal® paint systems create a brilliant finish on every Westport yacht for lasting beauty. Buying a Westport: We offer used Westport Yachts for sale worldwide, including Westport Pilothouse, Westport Tri-Deck, Westport Raised Pilothouse models and more! Contact our sales professionals for immediate assistance. Selling Your Westport: With a team of experienced yacht brokers and marketing professionals, we will employ a comprehensive marketing approach to ensure your vessel receives maximum global exposure online as well as exposure in person at major boat shows. Learn more about how SYS Yacht Sales will help to sell your Westport yacht!